It says it needs months to assess which former officers need their identities protected - and does not believe all of them should give evidence. Sir Christopher Pitchford, the inquiry's chairman, says he needs to hear from all the officers. Documents published by the inquiry on Wednesday reveal months of tension building between its team and the Metropolitan Police over what the force should hand over. 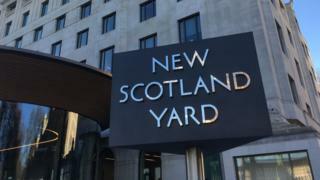 Scotland Yard says it has so far disclosed one million pages and identified 116 surviving former undercover officers from the Special Demonstration Squad, the disbanded unit at the heart of many of the allegations. The inquiry wants all of them to give evidence but Scotland Yard says that is unworkable because of the "immense" pressures it is under. In detailed submissions to the inquiry, it says that the demands for evidence dating back 40 years are unprecedented. It is already spending the equivalent of 80 police constables' salaries on the inquiry and may need to have more than 100 officers and staff working full time. "The Metropolitan Police Service recognises that a number of deployments [undercover operations] will be properly subjected to close scrutiny by the inquiry," says one of the force's letters. "This does not mean however that each deployment will need to be subject to the same depth of review. Many officers are reluctant to engage with the inquiry process." In a further twist, the documents reveal Scotland Yard proposed that an unnamed detective sergeant would explain to the inquiry how it was managing secret documents even though the officer had been accused of destroying files on the Green Party peer Baroness Jenny Jones. The officer has since been cleared of wrongdoing but the inquiry has insisted the individual cannot give evidence. In his response to the Met's plea for a delay, Sir Christopher said the Metropolitan Police would need to explain at a special hearing in April how the inquiry could work if it did not hear from all the former undercover officers. "Their evidence is clearly relevant," he says. "The Inquiry needs to see that evidence... it might have been otherwise if the Inquiry could be confident that the documentary records of the Special Demonstration Squad were fully preserved, but they were not. "It seems to me clear that there is no reasonable prospect that the Inquiry will complete its work within the three year period originally envisaged in July 2015, and that it is unlikely that evidence hearings will take place in 2017."